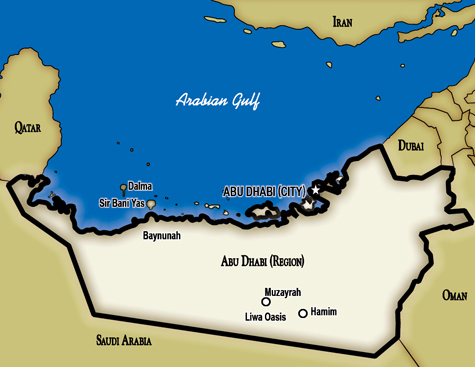 Abu Dhabi is a member of the United Arab Emirates in the southeast of the Arabian Peninsula sharing borders with Saudi Arabia and Oman, as well as two of its fellow emirates, Dubai and Sharjah. In 1962, Abu Dhabi became the first of the emirates to begin exporting oil, which transformed the economy and society. The late Sheikh Zayed, ruler of Abu Dhabi and president of the UAE at its inception, oversaw the development of the Emirates and steered oil revenues into healthcare, education and national infrastructure. UAE has the world's seventh-largest oil reserves and seventeenth largest natural gas reserves. The UAE has one of the most developed economies in Western Asia. Per capita income is the world's seventh highest.